Last week I showed you how to make sun dried tomatoes in the oven. Once you make a batch, these gummy goodies will keep in the refrigerator for about two weeks. You can use them to top salads, pastas or rice. But I wanted to try something a little bit different this time. As usual I took a few different recipes, added my own touches, and came up with this delicious Cheesy Sun Dried Tomato Quick Bread. It was a big hit at a recent girls’ get-together, as well as being very popular with my family. We like it best spread with either cream cheese or butter, but I bet it would make a great toasted cheese sandwich as well!! In a large bowl, combine flour, baking powder, sugar, Italian seasoning, salt, baking soda and pepper. In a small bowl, whisk together milk and vinegar. Stir in eggs and both oils. Add to dry ingredients and stir, just until moistened. Fold in cheese and sun dried tomatoes. Pour into 2 medium loaf pans. Bake 40-45 minutes or until a toothpick inserted in center comes out clean. Cool 10 minutes before removing from pans to wire racks. 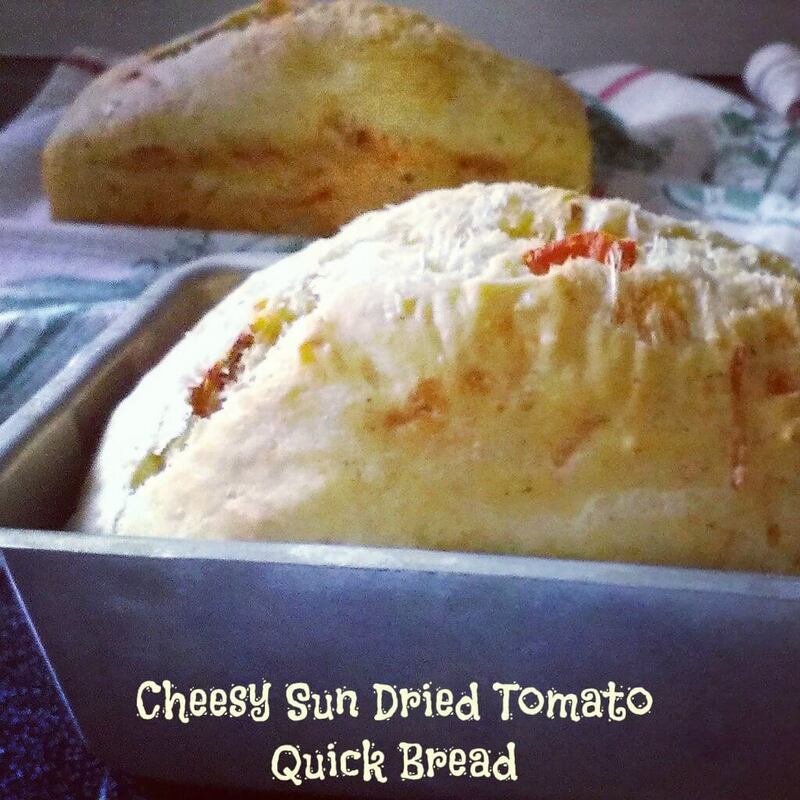 Wow your Cheesy Sun Dried Tomato Bread certainly looks delicious and I can almost smell it from here. It would be wonderful warm with lots and lots of butter.